I want to make quick pickles again! This is a quick, easy recipe without the canning. My Grandma used to can pickles, and I can remember looking at the jars and counting the days until we could try them. 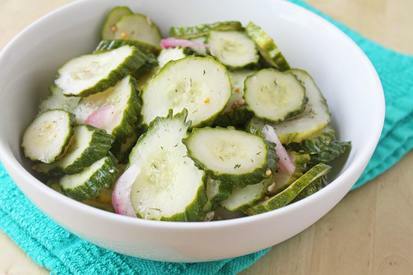 While these aren’t quite the same as a good kosher dill pickle, you won’t be staring at them in your pantry for months before you can eat them.